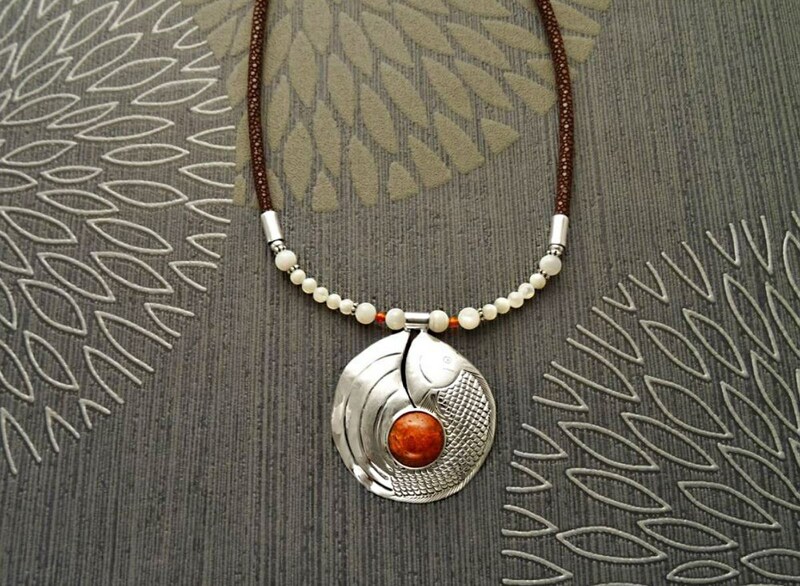 This beautiful Brown Stingray Leather Necklace is inspired by the Asian Zen Spirit. 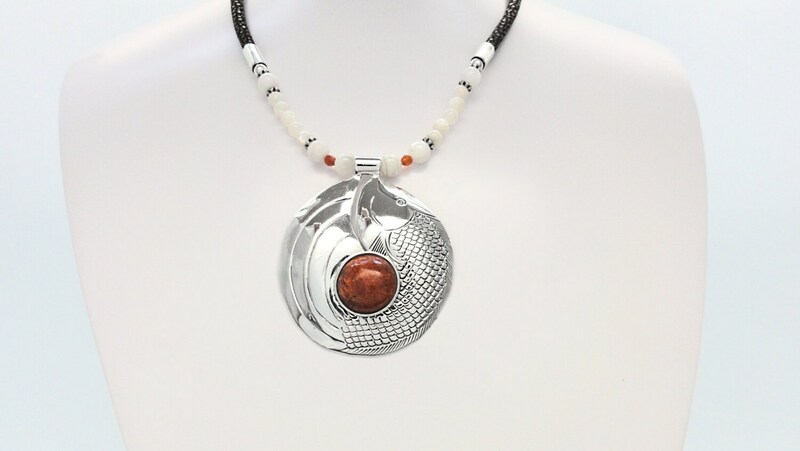 The Sterling Silver Pendant has a Koï Fish Pattern and set with an Elegant Coral Jasper Cabochon. 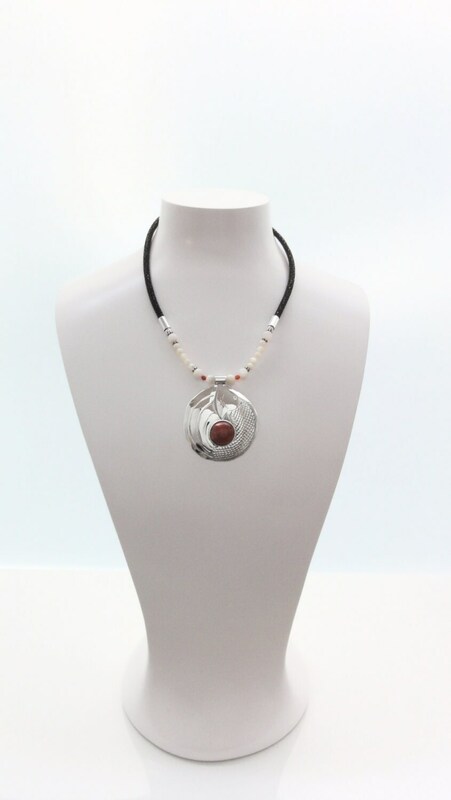 The diameter of the pendant is 4.5 cm and the diameter of the Coral Jasper cabochon is 1.0 cm. Simply stunning! 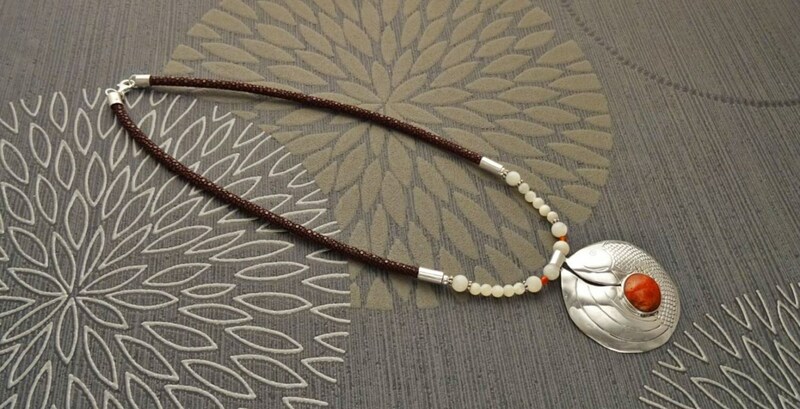 The necklace is composed of Brown semi-rigid Stingray Leather, a noble material which is used in the universe of luxury and recognized for its unique beauty and high durability. 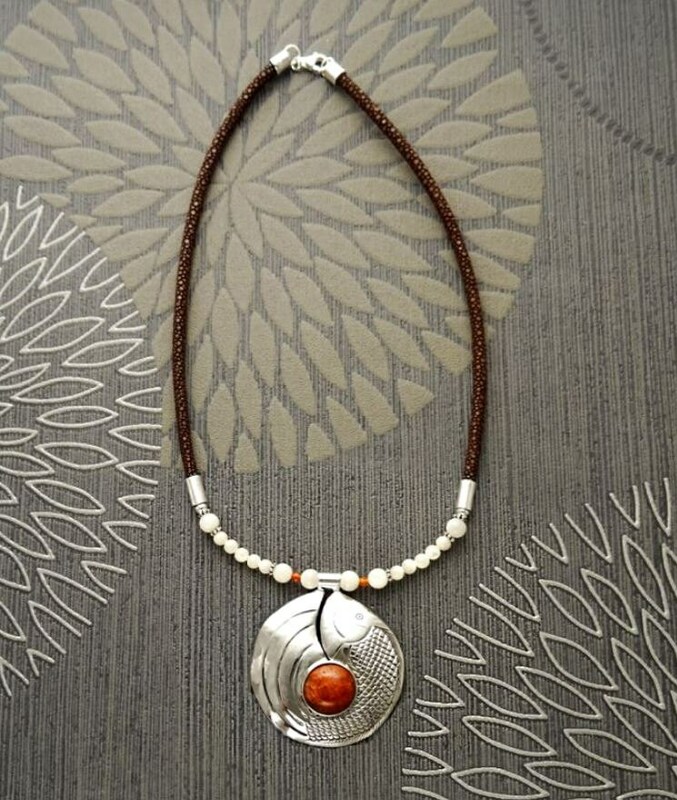 Necklace length : 45 cm (17 2/3 inch). 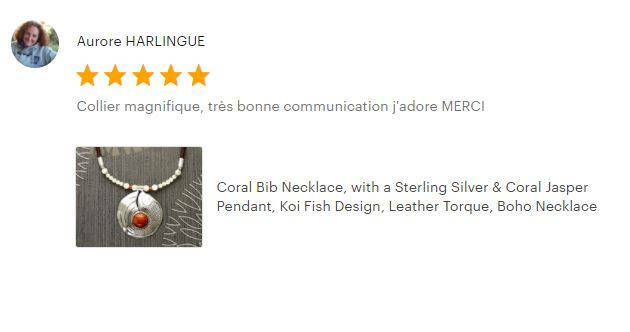 Très beau collier parfaitement réalisé avec de beaux matériaux. la taille est parfaite et l'emballage attentionné. 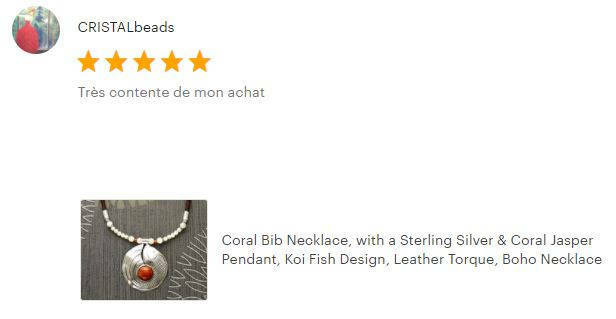 Je conseil ce très beau produit, parfait pour un cadeau ! Gorgeous gorgeous gorgeous. Can't say anything else! This piece is fantastic! Excelente trabajo, muy fino, muy bien acabado, delicadísimo, de gran gusto, muy bien presentado, con gusto y elegancia. Además la entrega con mucha puntualidad y muy completos los papeles para las adunas, todo excelente.